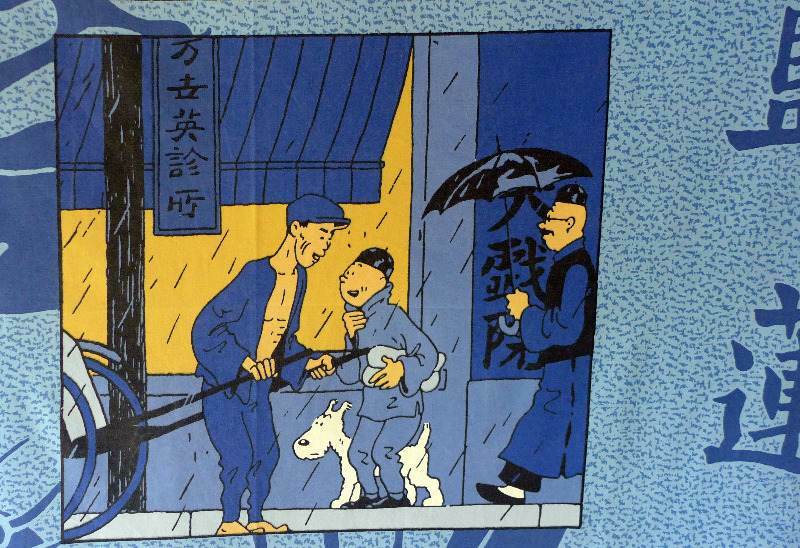 Big cotton panel showing Tintin in scenes from Herge's 1935 book The Blue Lotus. This piece is big enough to form a bedspread or could be divided into individual pictures to make cushions or patchwork. 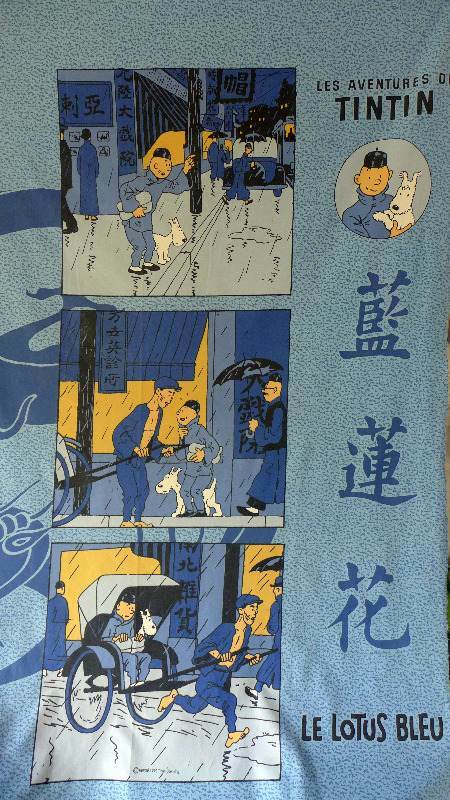 This is salvaged Tintin fabric but the piece is in excellent condition with no tears or marks. 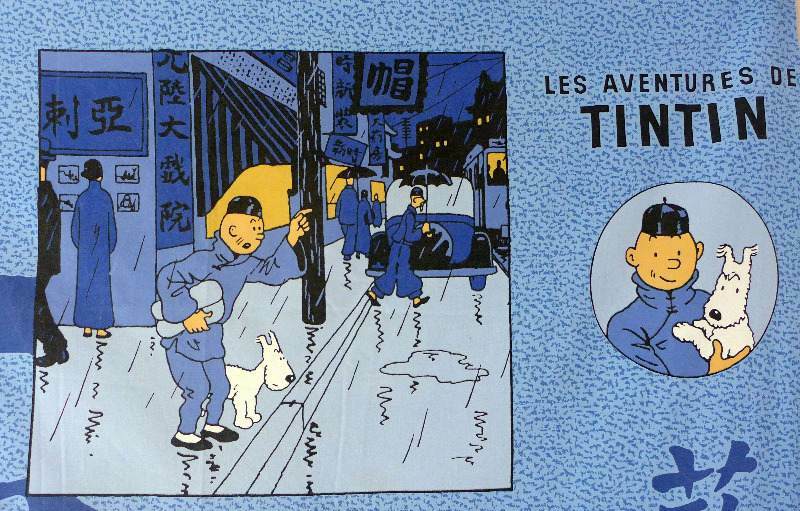 It is marked with the Herge copyright and dated 1993. 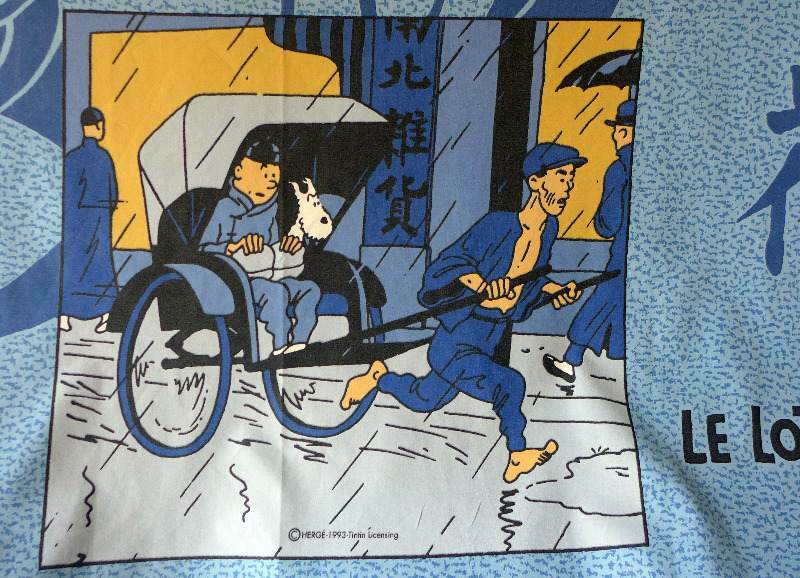 Overall the piece measures 186cm long x 124cm wide. The square pictures are a good size with each one measuring approximately 50cm x 47cm.